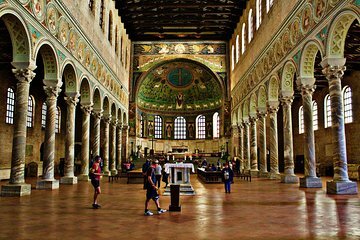 Go beyond the guidebook with a private 1-hour tour at the Basilica di Sant'Apollinare in Classe. Situated near Ravenna, this Byzantine gem is not to be missed. Choose a start time that suits your schedule, then join your guide at the UNESCO listed 6th-century church. Without a swarm of fellow tour members to contend with, you’re free to engage with your guide and ask as many questions as you like.